Provider and researchers from the University of Cocody in Abidjan were faced with the challenge of adapting a user-centered approach to qualitative research endeavors in Côte d’Ivoire. Our cross-cultural team with expertise from multiple disciplines developed a novel approach for the cocoa sector. 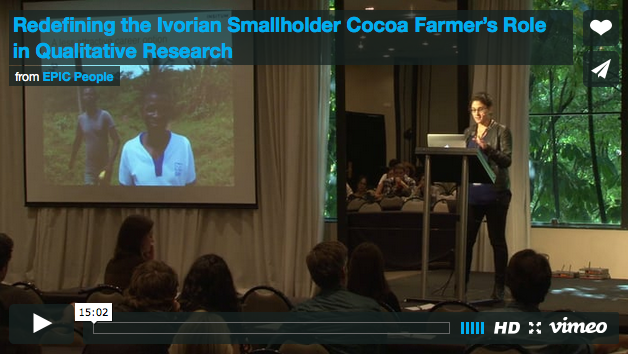 In observations, interviews, and co-creation groups with cocoa farmers, we explored concepts of success, productivity, and profitability both orally and visually. The resulting quality and level of farmer participation was enhanced, therefore improving research results.